Can a single player make or break your fantasy EPL season? While there isn’t a correct answer, I bring forth evidence in the case of Alexis Sanchez, carrying 187 points into GW28, leading all other player in fantasy football this season. With Copa América Centenario hosted in the United States for the first time, Chile saw their way through to defeat Argentina in the final on June 26. The EPL season kicked off on August 13 with international players returning from summer duties fatigued. Sanchez started the new season off slow with just 1 goal in his first 4 games and a knock after the 2-1 victory over So’ton in GW4. Going through 27 weeks of statistics I did not start the season with Sanchez, opting for the big price tags of last year’s superstars, Riyad Mahrez (240 pts) and Dimitri Payet (171 pts), partnered with Dusan Tadic and EPL newcomer, Gastón Ramírez. N’Golo Kanté rounded out my midfield, starting on the bench after be categorized as a midfielder, from a defender last year at Leicester. Interestingly enough, at the conclusion of GW6 my global ranking was 29k! The highest I have recorded in nearly 4 years of playing fantasy EPL. So, did I miss his contribution? In some respect, I did. Total at the end of GW6 was 356 points or 59.3, just 0.7 short of my goal of 60 points/week. To start the season Sanchez scored 46 points through GW6, a difference of 26 points when compared to the three pronged attack of Tadic, Hazard and De Bruyne. Those additional 26 points would put me at 382 points through GW6 (avg 63.6/points/week) and in a much stronger position two weeks after activating my WC. It wasn’t until GW7 that I introduced Sanchez to my starting XI. Not surprisingly, he fell out of form, with just a single double digit return in GW10 (13 pts.) against Sunderland. The only period in which not owning Sanchez worked in my favor was introducing Sadio Mane for GW26 and GW27. 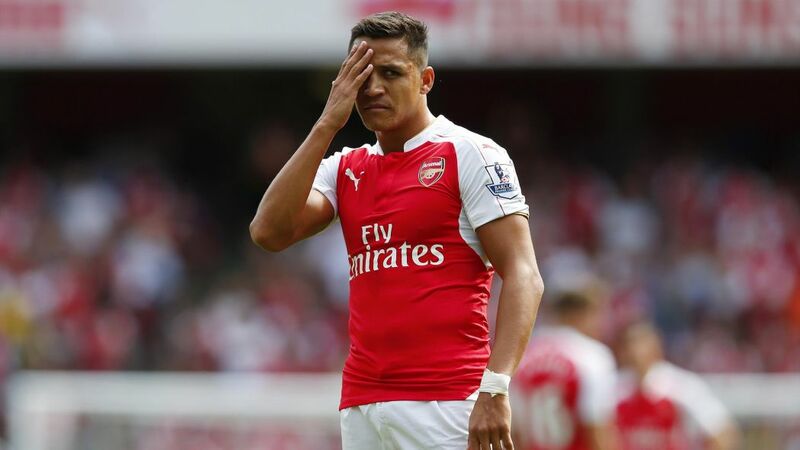 Then again Arsenal didn’t play in GW26 and Sanchez was benched to start the match against Liverpool in GW27. You can track Sanchez in the list below. Sanchez has been a key player for many this season, seen as a de facto captain on a weekly basis. Part of why I moved Sanchez was the lack of returns when I gave him the armband, it became frustrating week in, week out to see single digit returns. Many of the game weeks in which I owned Sanchez I missed out on the double digit returns, always questioning myself when it came to him.